PhD: Insitute of Catalysis and Petrochemistry-Universidad Autónoma de Madrid. Research: Production of fuels and industrial products of interest through photocatalytic reduction of CO2; Hydrogen production by water photo-splitting and fossil fuels decarbonisation. Research: Light harvesting multifunctional Hybrid materials for Energy and reactivity. Víctor A. de la Peña O’Shea received his B. S. degree in chemistry from Universidad Automoma de Madrid (1999) and got his master degree in physical-chemistry from the same institution (2000), working on the development of theoretical studies of the photophysical behaviour of molecular dye sensitizers. 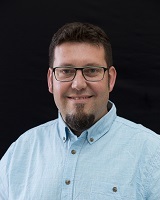 He obtained his PhD in 2003 at Catalysis and Petrochemistry Institute (ICP-CSIC) under the supervision of Prof. J.L.G Fierro working on the preparation, characterization and testing of cobalt and iron supported catalysts for Fischer-Tropsch Synthesis. After his PhD he worked on several projects, all of them revolving around the two main research lines: Theoretical studies applied to catalysis; and VOCs elimination processes. In 2004, he was awarded a “Juan de la Cierva” fellowship at the Barcelona University as a research fellow to develop catalysts for the selective transformation of biomass derived products into H2. Since 2009 to 2013 he was developing his scientific career at the IMDEA Energy Institute awarded with a “Ramon y Cajal” Fellow. Currently, his research interest is focused on Heterogeneous Catalysis, Theoretical Chemistry, in-situ characterization and Surface Science fields and their application on selective reactions of Energetic interest for the sustainable fuels production (biofuels and H2), Energy Storage and artificial photosynthesis (CO2 Valorization). 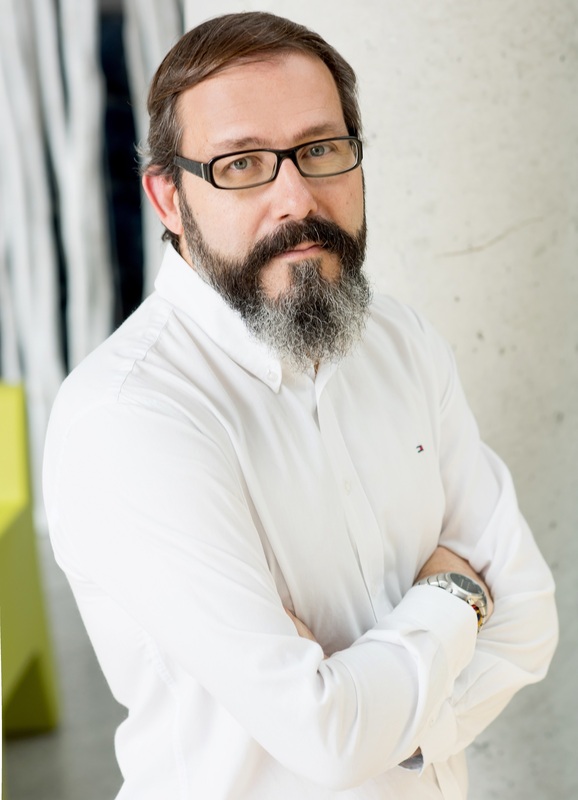 He is member of the Executive Board of Spanish CO2 Technology Platform and member of the Editorial Board of the Scientific World Journal and the Open Catalysis Journal. He is co-author of more than 65 publications, 2 patents and 70 contributions to scientific congresses. Besides, he has participated in more than 20 research projects funded by different institutions, among which he is the principal investigator of 9 of them including an ERC-CoG Grant. Furthermore, he has supervised 2 Ph.D. theses and 5 in course. PhD : (UCM) Universidad Complutense de Madrid. Research: Light harvesting multifunctional Hybrid materials for Energy and reactivity. Marta Liras obtained her master degree in Chemistry Science (Organic Chemistry) by Universidad Complutense de Madrid (UCM) in 1999 for her studies in the photoreactivity of aza-di-π-methane compounds. She obtained her PhD in 2003 in UCM for her work developed between both Instituto de Química Orgánica General (IQOG-CSIC) and Instituto Ciencia y Tecnología de Polímeros (ICTP-CSIC) in collaboration with Instituto de Química Física Rocasolano (IQFR-CSIC). Her thesis was about the synthesis of monomers, polymers and copolymers based on BODIPY dyes and their evaluation as solid state laser dyes. During 2004 she has a Comunidad de Madrid (CAM) postdoctoral fellow and she obtained a contract into the Juan de la Cierva Programme (2005-2007). During this step she researched about red and blue laser dyes as well as organic inorganic hybrid dyes with the aim to used them in biomedical applications. During 2008 she went to University of Ottawa (Canada) as postdoctoral fellow in the Prof. J. C. Scaiano group with a contract funded by INTEL Coorp. with the two photon process for photolithography topic and in parallel she acquired knowledge in the synthesis and characterization of luminescence nanoparticles such as quantum dot and up conversion nanoparticles. Afterward, she returned to ICTP-CSIC with a JAE-Doc contract (2010-2013). During this time she developed new strategies to the polymeric coating of several kinds of nano objects (QD´s, UCNP´s, graphene, carbon nanotubes and so on) developing new smart nanomaterials. 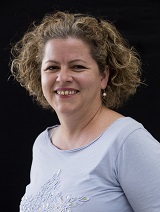 During the last two year she has been part of the Heterogeneous Catalysis group in the IQOG-CSIC, inside Consolider Ingenio Project leadership by Prof. A. Corma, where she has use Porous Organic Polymers (POPs) such as heterogeneous photocatalyst. She is co-author of more than 55 papers, 1 invention patent and 40 contributions to scientific congress. During the last years she has participated in 16 research projects funded by several national and international institutions public and privates. 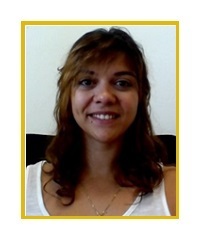 She has supervised three master thesis and several undergraduate student projects. PhD: Polytechnic University of Valencia Spain. Raúl Pérez Ruiz (born 1976, Valencia) obtained his B. Sc. in Chemistry at the University of Valencia (2001). In 2006, he received his PhD in Chemistry (European Doctorate) with honors under the guidance of Prof. Miguel Angel Miranda at the Polytechnic University of Valencia (UPV), supported by a FPI fellowship from the Spanish Government. During his PhD studies, he performed two short-term stays at the University of Cologne, Germany (Prof. Axel G. Griesbeck) and at the University of Amsterdam, The Netherlands (Prof. Luisa de Cola). Dr. Pérez-Ruiz obtained a postdoctoral (09/2006-02/2007) contract with Dr. Thanasis Gimisis (University of Athens, Greece) and afterwards he moved to the research group of Prof. Axel G. Griesbeck at the University of Cologne (Germany) as a research associate where he was awarded with the prestigious Alexander von Humboldt Fellowship (06/2007-11/2008). In December 2008, he rejoined as postdoctoral scientist to the Department of Chemistry at the UPV with Prof. M. Consuelo Jiménez (Fundación CajaMurcia 12/2008-04/2011 and Juan de la Cierva Program 05/2011-04/2014). In 07/2014, he received a Marie Curie-IEF Fellowship funded under the European Commission’s FP7. 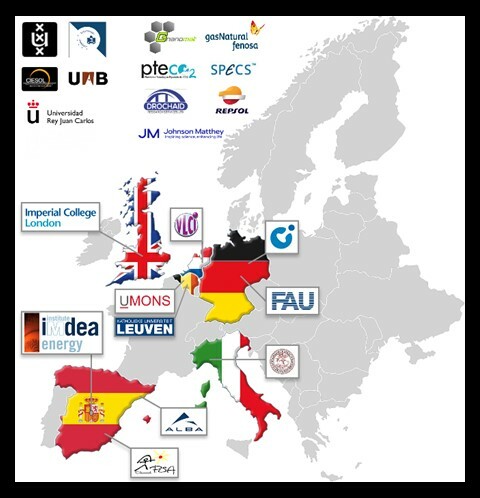 The research project was developed within the group of Prof. Axel Jacobi von Wangelin, University of Regensburg (Germany), ending it up in 06/2016. After this time, Dr. Pérez-Ruiz was employed as a postdoctoral researcher under an EXPLORA project led by Prof. Miguel A. Miranda at the Polytechnic University of Valencia (07/2016-02/2017). 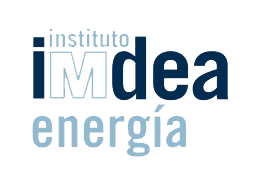 Currently, Dr. Perez-Ruiz has just been awarded as senior assistant researcher by "Atracción de Talento Program 2016, Modalidad 1" funded by Community of Madrid to continue his scientific career in IMDEA-Energy Institute. His scientific trajectory has focused on the study of photochemical processes and molecular spectroscopy for its application in the field of organic synthesis as well as in biology. He is co-author of more than 30 articles in “peer-reviewed” scientific journals, 1 international patent and has attended more than 40 national/international congresses. He has participated in 11 research projects, being PI in 4 of them. He is co-director of a Master Thesis and has been recognized by the National Agency of Evaluation of the Quality (ANECA) in the following three categories: Researcher professor; Assistant professor; Private University professor. PhD: Institute of Catalysis and Petrochemistry (ICP-CSIC)-Universidad Autónoma de Madrid. Research: Photocatalytic processes for energy applications: CO2 reduction and hydrogen production. Synthesis and characterisation of inorganic photocatalysts. 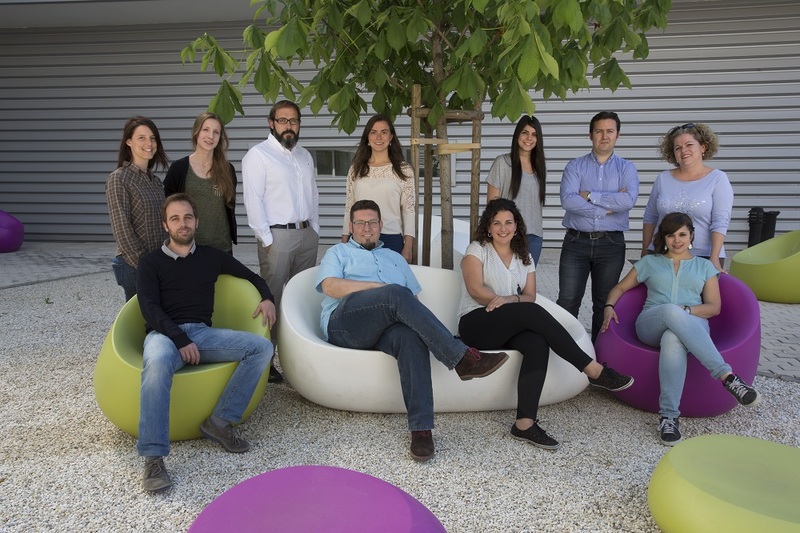 Fernando Fresno is a Postdoctoral Researcher in the Group of Photoactivated Processes at the IMDEA Energy Institute, where he is working on the development of inorganic and hybrid photocatalysts for the production of fuels from carbon dioxide and water. He has previously worked as a Research Associate and Assistant Professor the University of Nova Gorica, Slovenia, from April 2012. He has conducted postdoctoral research at the Institute of Catalysis and Petrochemistry of the Spanish National Research Council (ICP-CSIC, Madrid), 2010-2012, and the Spanish Centre for Research on Energy, Environment and Technology (CIEMAT, Madrid), 2007-2010. He got his PhD in Chemistry in 2006 at the Autónoma University of Madrid (UAM), Spain, in 2006, working with a national doctoral grant at the Inorganic Chemistry Department of UAM and at ICP-CSIC. He has worked as a visiting researcher in the University of Niigata (Japan), University of Aberdeen (UK) and IRCE Lyon (France). His research interests focus on photocatalytic processes for environmental and energy applications: Synthesis of new, more efficient photocatalytic materials; study of photocatalytic reactions; self-cleaning and superhydrophillic surfaces; and structure-activity relations in heterogeneous catalysts. He is currently PI of 2 funded research projects and has participated in 12 more. He has published 25 papers in peer-reviewed journals and has co-authored and co-edited the book “Design of Advanced Photocatalytic Materials for Energy and Environmental Applications” (Springer 2013, ISBN 978-1-4471-5060). He has contributed with 50 communications to national and international conferences and is co-inventor in one patent. He has acted as an expert reviewer for more than 20 scientific journals and is a member of the editorial board of ISRN Nanomaterials and Journal of Energy. PhD: Energies and Fuels for the Future. Autonomous University of Madrid (UAM). Madrid. Spain. Research: Semiconductor materials for energy conversion. Metal sulfides. Transparent metallic oxides. Photoelectrochemistry of semiconductors. Electrochromic materials, "Smart Windows" devices. Electrochemical Impedance Spectroscopy (EIS)..
Research: Advanced characterization of photo- and photoelectro-catalytic processes. Nacho received his Chemical Engineering Degree and Masters from the University of Oviedo, Spain, and obtained his PhD: “XPS of ionic liquids” from the University of Nottingham (2009). Then, he moved to Ethiopia as an Associate Professor in the Department of Chemistry of Addis Ababa University where he directed and co-directed master and PhD projects (2009-2011). In 2011 he moved back to UK, Imperial College London, where he worked initially at the chemistry department in the group of Prof. Tom Welton (specialised in ionic liquids) and from 2013, in the materials department where he managed the high pressure XPS service. He has authored 32 publications (≥1000 citacions, h-index = 12). 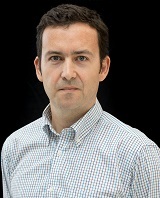 Nacho joined IMDEA Energy in March 2017. 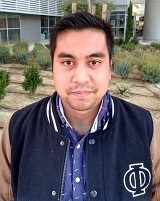 PhD student : Universidad Rey Juan Carlos. Research: Production of fuels and industrial products of interest through photocatalytic reduction of CO2. Patricia Reñones Brasa is graduated in Chemical Engineering by the Rey Juan Carlos University of Madrid in 2013. Her Final Degree Project was, “Synthesis of dense membranes palladium for application in hydrogen production processes” developed in laboratories URJC. 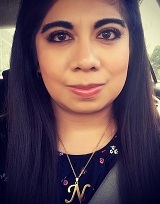 In the professional field she has made practices in Artesolar Iluminación S.A. and in Hutchinson Industrias del Caucho S.A. She has an Interuniversity Master in Chemical Engineering by the Autonoma and Rey Juan Carlos Universities of Madrid in 2015. Her Final Master Project was developed in the Institute of Catalysis and Petrochemistry (CSIC) with the tittle, “Development of materials for sustainable hydrogen production via solar thermochemical processes of water dissociation at high temperature”. 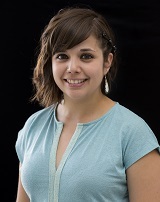 Now she works as a predoctoral researcher at Photoactivated Processes Unit at IMDEA Energy under HYMAP project. PhD student:Universidad Complutense de Madrid. Research: Multifunctional hybrids materials for solar fuels production. Alba García Sánchez graduated with a bachelor´s degree in Chemistry from Universidad Complutense de Madrid in 2014. Her Final Degree Proyect was “Development of biodegradable implants based on magnesium alloys” developed in Materials Science and Metallurgical Engineering Department at UCM in collaboration with CENIM (CSIC). She owns a master degree in Applied Chemistry from Autónoma University of Madrid in 2015, with a Final Master Proyect in “Synthesis, processing and characterization of hybrids organic-inorganics electrolytes for direct alcohol fuel cells” developed in the Institute of Cerámica y Vidrio (ICV-CSIC). She has made practices in expression, purification and characterization of proteins in Centro de Investigaciones Biológicas (CIB-CSIC). 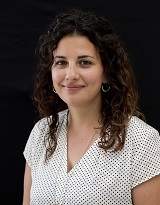 Since may 2016 she is predoctoral researcher under HYMAP project. Research: Design and synthesis of conducting polymers to create organic/inorganic hybrids to use as photocatalysts for the reduction of CO2. Carmen García López graduated with a bachelor’s degree in Chemistry from Universidad Complutense de Madrid (UCM) in 2015. Her thesis dealt with “Design and synthesis of new fluorophores (BODIPY) for different photonic applications,” developed within the Organic Chemistry I Department at UCM. 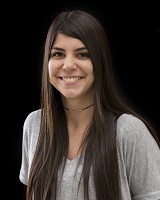 In 2016, she got her master’s degree in Organic Chemistry at UCM and her final master’s thesis related to “The study of the regioselectivity of the Negishi reaction in haloBODIPYs.” A portion of the results were recently published in JOC (DOI: 10.1021/acs.joc.6b00350).In the professional realm, she interned at Laboratorio Control analyzing the control of the quality of water.Since June 2016, she is working on her doctoral degree while working with the Photoactivated Processes Unit at IMDEA Energy under HYMAP project. Research: : Tandem photoelectrochemical cells for solar fuels production. Elena Alfonso González graduated in Chemistry from the Complutense University of Madrid in 2014. Her Bachelor thesis was “Search of high-temperature superconductors based on M-1212 structure with Ru in the charge reservoir”. 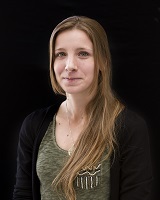 She got a Master of Science degree in Advanced Spectroscopy in Chemistry from Lille and Leipzig Universities in 2016, with a Master thesis entitled “Z-scheme based photocatalytic water splitting by modification of TiO2 and Fe2O3 semiconductors with Pt and RuOx promotors”. In the professional field, she did an internship in IMDEA Energy Institute in 2015 about the characterization by DRIFTS in situ of catalysts based on TiO2 for the photorredution of CO2. She also had an internship in the CSIC Institute of Ceramics and Glass in 2013 concerning the synthesis and characterisation of thermoelectric materials. 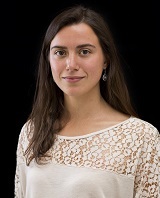 Since February 2017 she is a predoctoral researcher in the Photoactivated Processes Unit. PhD student:Universidad Rey Juan Carlos. Research: Developing of U-converters materilas for energy and health applications. 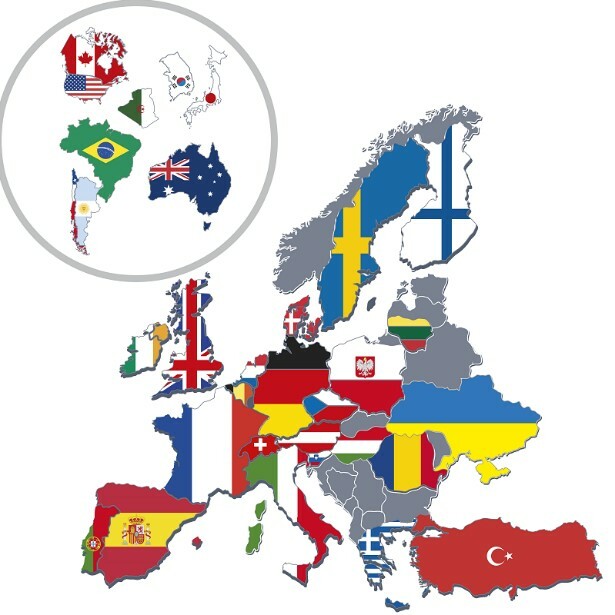 This project has received funding from the European Research Council (ERC) under the European Union’s Horizon 2020 research and innovation programme (grant agreement No 648319). 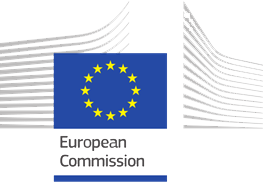 Disclaimer: This website reflects only the authors’ view and the ERC is not responsible for any use that may be made of the information it contains.